Which Colors Attract Bees and Wasps? 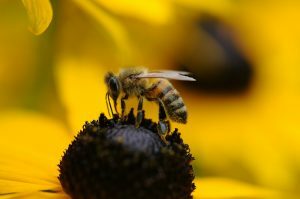 Home » Bees & Stinging Insects » Which Colors Attract Bees and Wasps? Which Colors Make Them Attack? Which Colors Will Repel Them? What could what you wear be of interest to a bee? Based on the color you are wearing, you could be seen as a flower or a predator. What difference does the color of your shirt make to an insect? Well, if you’re talking about bees and wasps, what you wear could make the difference between being seen as a predator, being mistaken for a flower, or simply being ignored. The truth is that, like many creatures in the animal kingdom, bees and wasps have more complex eyesight than we do. They see things differently and can often be attracted to incorrect objects — including a person’s clothing — when flying around tending to its daily routine. Many would say that they didn’t know bees had a preference for any color. What could what you wear be of interest to a bee? Based on the color you are wearing, you could be seen as a flower or a predator (which can cause you a painful sting). If you’re lucky enough, you won’t be wearing the colors that would identify you as either. This means the threat of them coming near you is minimized. Some people like the smell of flowers and that is why they buy perfumes that smell like flowers. Now if you do not want to attract bees, we wouldn’t advise you to do this. In fact, we would suggest that you avoid this altogether. Their eyes created to identify the colors of flowers. The brighter it is the more drawn to it they are. The same is true with regard to the clothes that you wear. If you are wearing bright clothes, you could easily be mistaken for a flower. If you use a laundry detergent with UV brightener, beware; you are almost certain to attract any bees that are around. We would recommend that you keep your clothing light and matted, pale colors. You might not think of dark colors such as red or black as being aggressive, but when it comes to bees and wasps, it’s true. Darker colors will sometimes be interpreted as natural predators such as bears and skunks. The bees or wasps might not attack right away, but they will often be on the defensive, which means that even a small thing can set them off. Even worse (and a little funny) is that bees and wasps will often go after your collar or cuff, depending on what you’re wearing, because these areas will be perceived as your weak spot. On a predator, these areas would be the eyes and other vulnerable places that the bees or wasps could take advantage of. Wasps and bee stings can get swollen and in worse cases can cause severe allergies. There are some DIY methods that can be effective to treat a bee sting. It would be great if there was a color that would actually repel bees and wasps, but it’s simply not true. However, there are some colors that will make you all but invisible to these insects. As mentioned before, those colors include pale or light shades. For best results, wear white. This lack of color will typically make bees and wasps leave you alone. In fact, the next time you see a beekeeper, you’ll know exactly why the outfit is white. 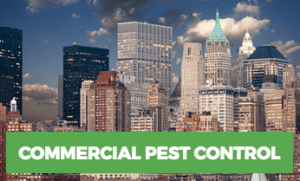 Our exterminators in NYC and Long Island are unable to tell you with certainty that there is a specific color that repels bees. We can, however, tell you the colors they are less likely to be drawn to. This would include lighter shades of any color but especially pale colors. These will almost make you invisible to bees. If this is exactly how you want to appear because you know the area you’ll be in has lots of bees, just wear white. This is the safest color to wear; you’ll be virtually invisible to bees and wasps. This you will notice beekeepers wearing white when they are around the bees. Just because you have never had an issue with bees before doesn’t mean that you never will. 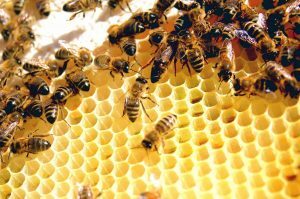 We hope that this information will come in handy so that when you notice a problem with bees, you’ll revert back to this information. Remember if you do not want to become a target for them don’t wear red and black, as you will be seen as a predator. You can avoid an attack of bees if you know what colors to avoid and how to act around them. 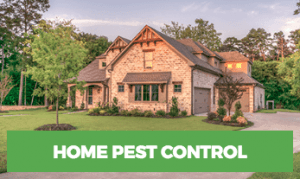 If you have a beehive near your home, contact Rest Easy Pest Control today! Wasp Facts: How Do Wasps Build Their Nest? Carpet Beetles Facts: Are They Harmful?